Thailand, August 7, 2017 – Leveraging a US$300,000 investment from REAPRA Business Builder, Property Flow (FindYourSpace) has announced that it will expand into Southeast Asia, starting in Thailand, and further enhancing its application to improve the convenience it offers to real estate professionals. Property Flow (FindYourSpace) is a technology firm which provides an end to end solution for real-estate agents and brokers on both webs as well as mobile. 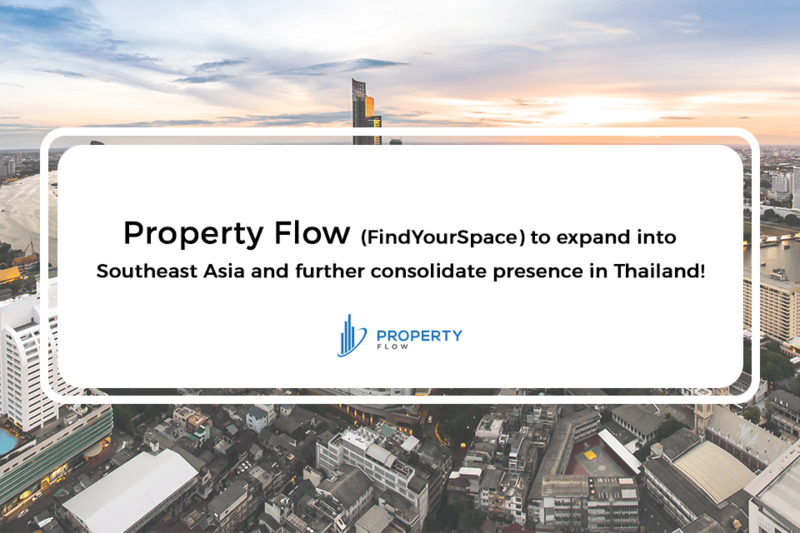 After a period of bootstrapping, the investment has allowed Property Flow (FindYourSpace) to scale its operation, and build its sales, marketing, and customer success teams, to further grow its business in Thailand. The company has been hiring professionals who have had work exposure in this field with renowned companies. Property Flow (FindYourSpace) was first launched as a consumer portal in February 2015. However, the team quickly identified pain points among real-estate professionals, which resulted in the company pivoting, to focus on providing tools and services for agents. Property Flow (FindYourSpace), the technology platform for real-estate professionals, was relaunched in February 2016. Property Flow (FindYourSpace) is also looking to expand in the Southeast Asia region. The team is already working on strategic partnerships with regional players, with a view to positioning itself for regional expansion towards the end of the year. In addition to expanding the business, the investment funds will also be used to help in R&D to further develop the software and improve its current products offered to the real estate professionals. Property Flow (FindYourSpace) is a technology firm which provides an end to end mobile and web solution for real–estate professionals, including agents, brokers as well as developers. Furthermore, FindYourSpace provides products for media companies allowing them to add an additional content source and revenue stream, through a home section powered by the platform.